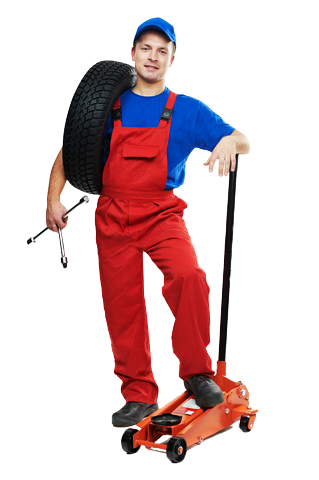 As a mechanic, you will need insurance cover for many things in your line of work. Whether it be premises cover, public liability, or even contents cover, you can be confident that One Sure Insurance will get you a policy which includes everything you need, whilst being hassle-free and quick to set up. This way, you can continue your work, worry-free that everything is covered, should anything lead to a loss of earnings or interruption of work. We pride ourselves on providing our clients with affordable and reliable mechanics insurance policies. We know that being a mechanic comes with inherent risks that are sometimes unavoidable. Whether you're test driving vehicles after performing a fix, or buying and selling vehicles as part of your day-to-day business, our motor trade policies for mechanics and mobile mechanics will keep youn the road knowing you're safe and sound. We typically offer three levels of cover for mechanics; third party, third party fire and theft and comprehensive cover. Once you have selected the type of cover that you require, you have additional extras that you can purchase to keep other areas of your business protected. You'll be able to choose between a premises policy, a mobile mechanics policy or a from home policy; depending on the nature of your business and where your mechanics business operates. We are also able to offer policies such as Public Liability and Tools Cover to protect your business and assets further. Because mechanics often work in the public domain by fixing customers vehicles, we often advise that a public liability policy is in place as an added extra to your main policy. Many of our mechanic clients also opt for tools cover; since your tools and machinery can often be very expensive to replace in the case of any unexpected incident - such as Fire, Theft or Vandalism. Why Choose One Sure for Mechanic Insurance? We will consult our board of insurers which is over 40-strong, to find you the best deals whilst maintaining a high level of cover. Our experienced sales advisors have a strong working relationship with some of the UK’s top insurance companies, so they will do their very best to make sure you’re in good hands. Once you are insured with us, you can count on our dedicated Customer Service team to be on hand to answer any queries, or resolve any issues you may have. They are open 9am until 5:30pm every Monday to Friday, and Saturdays 9am until 1pm. If you need to get in touch with us out of hours, then our claims line is open 24 hours a day, so we can guarantee we are always there for you. If you would like to speak to us about one of our fixed-up Mechanic Insurance policies, or would like to obtain a quotation, please call us today for free on 0800 107 1260 or try our mobile friendly number 0330 100 9093 which uses normal provider minutes at the standard UK rate. Alternatively, you can fill out our simple online form for a call back!